“She said if I held it up to your neck, you wouldn’t know if it was real or not, and I said, 'Really?’ ” said May. The "gun" is roughly the size of three quarters placed end-to-end. The TSA agent took Rooster's gun and told May that she was supposed to contact the police. May asked the agent if she was kidding, and the agent assured her that she wasn't. I feel safe now. No more Sock Monkeys are allowed to be armed. While I can understand the frustration, they do make derringers close to that size....like the one that was used to kill Lincoln. A .22 caliber cartridge is as big as that toy firearm. Derringers are closer in size to a smartphone. a .22 cartridge is roughly the length of a quarter. I should know as I've shot thousands of them over the years and used to get boxes of them for Christmas presents. Derringers come in a variety of sizes. You might want to google this one....because before I opened my pie hole I did just that instead of relying upon my memory of all the gun shows I attended over the years with my dad. 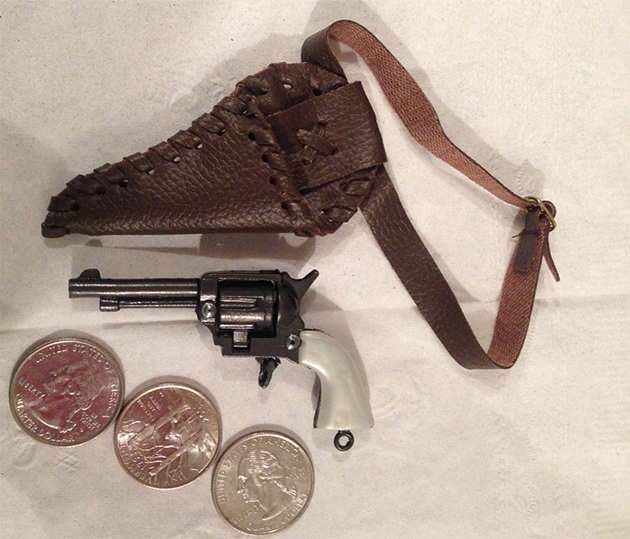 The smallest one I can find is still considerably bigger than that toy gun. Though, I suppose we can't expect a TSA agent to have any knowledge. I've seen some of the TSA employees and while some of them are on the ball....several of them look about "walmart" level functionality. Did that TSA agent look something like this? I hear ya. I'm sure if it were either of us we'd have acted differently. 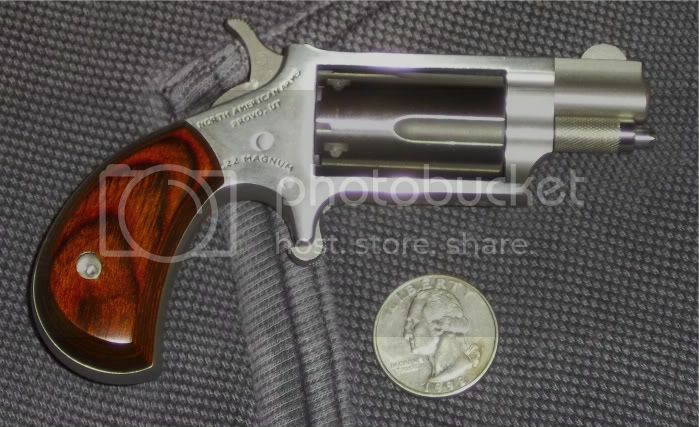 My NAA 5 shooter in .22 is really small but that "gun" is so tiny the ammo would look like the tip of a needle.